The halter fits around the muzzle and neck. It does not restrain the dog or apply pressure or brute force. 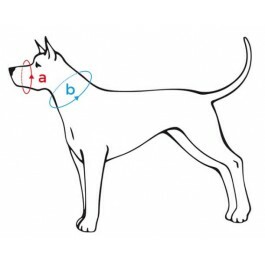 Ideal to help correct dogs who have tendencies to pull on the lead or stray suddenly from the path, this halter uses the dog’s natural desire to follow the direction of eyesight to help correct unwanted behaviours when out walking. This collar is made from environmentally friendly, soft cotton tape. Extremely tough and durable, yet soft and easy on the dog. The metal elements are welded to provide added strength and are treated with an anti-corrosive layer. The plastic clips have been made from a frost—resistant, flexible material. 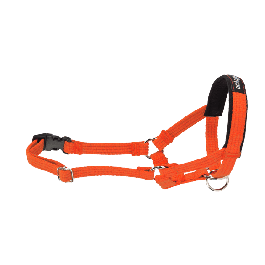 The top part of the halter that sits over the muzzle features a layer of high quality foam, providing additional comfort, and prevents the halter from causing irritation on the dog’s skin. 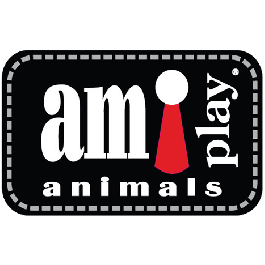 All Amiplay products carry a three-year warranty which covers all production process faults. This includes the metal elements, stitching and the tapes themselves. All products have been manufactured entirely in the EU. This product is sent directly by Gor Pets via Royal Mail 2nd Class, and can be delivered to the UK mainland only. You will be notified by email when your order is dispatched. Returns can only be accepted if the product is in pristine condition, in its original packaging with all labels attached, and has not been used or tested.